Dodd-Frank and Romney: Do Republicans, progressives, and technocrats now actually agree about “too big to fail”? Do Republicans, Progressives, and Technocrats Now Actually Agree About “Too Big To Fail”? There is a funny convergence, not sufficiently remarked upon, in recent thinking about bank regulation. It began with Mitt Romney’s rather surprising attack on Dodd-Frank during the first debate. Dodd-Frank, he said, was too kind to the major financial institutions because it essentially provided a federal guarantee. This swipe at Dodd-Frank was viewed initially, and possibly properly, as merely a part of Romney’s clever political jujitsu: moving to the middle and even outflanking the president from the left on the banking issue. Whatever the motive, Romney touched a nerve and channeled the populist sentiment within the Republican Party that has always been hostile to the major banks and is willing to see them capped with respect to both size and power. If the Republicans really want simplicity in banking regulation, then a simple cap on size might give them an opportunity to set out an alternative to Dodd-Frank, which they love to critique. 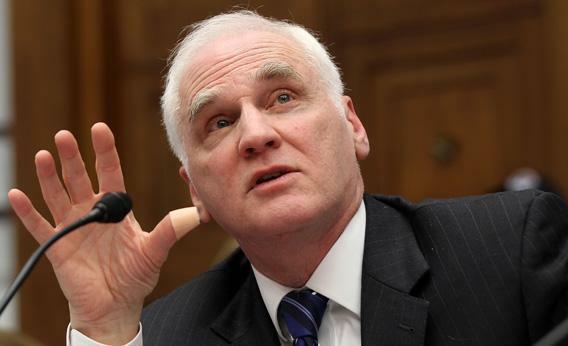 More recently, Federal Reserve governor Daniel Tarullo has raised the possibility that nondeposit liabilities of banks should be capped at a specific percentage of GDP. His point is rather clear: We haven’t yet solved the problem of “too big to fail,” and an explicit set of boundaries might be necessary. And, from the more traditional progressive world, Sen. Sherrod Brown, D-Ohio, has been pushing for a cap on bank size for some time. These three strands—the conservative, the technocratic, and the progressive—are now converging on a common conclusion: Big is not better in banking; the risk of scale has still not been properly addressed; and some more structural approach to the issue may be appropriate. None of this suggests that there will be movement any time soon on the issue. With Dodd-Frank still being implemented and myriad pressing issues awaiting both the lame-duck Congress and the next president, revisiting this issue is not on anyone’s to-do list. Yet the terms of engagement have perhaps shifted. The idea of capping size was viewed as outside the range of polite conversation before the crash. Even before Dodd-Frank, raising explicit size limits that would require downsizing was never a real option. Small might eliminate some systemic issues in banking, but it will not necessarily solve every problem in banking. As opponents of size limits properly love to point out, Lehman Brothers was systemically dangerous even though it was not big by some standards. But if the issues of scale and too big to fail are still challenging us, at least the range of options is growing.